Get the competitive edge. 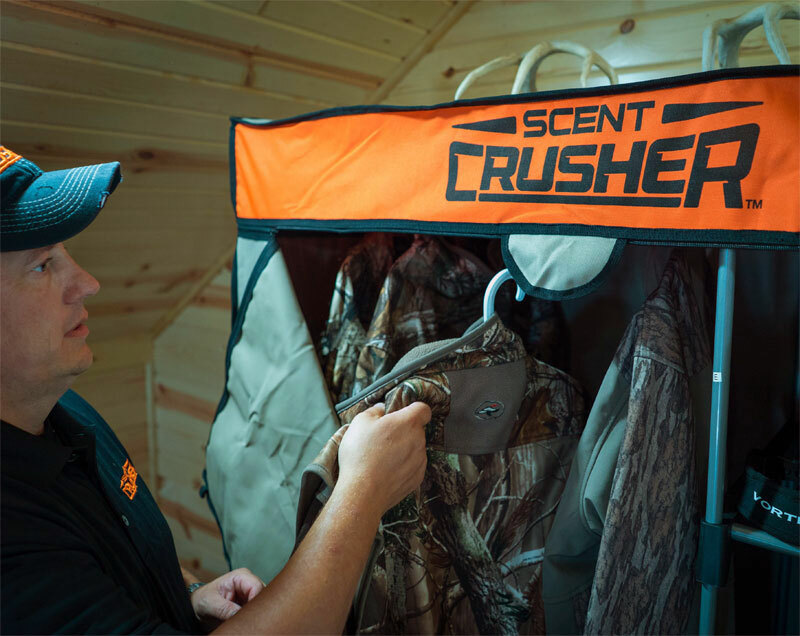 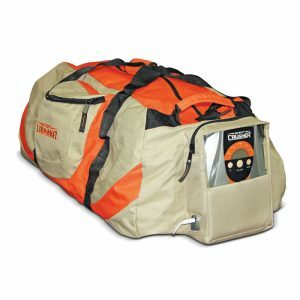 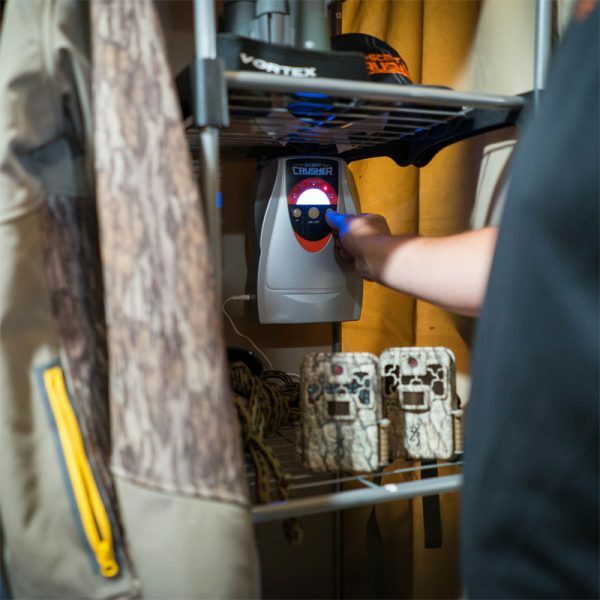 The Hunter’s Closet provides an easy and effective way for hunters to eliminate all odors on clothing and equipment so you are ready for the next hunt. 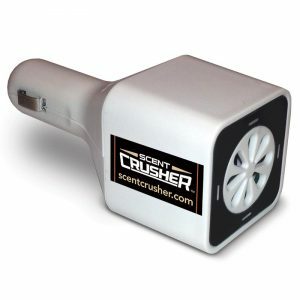 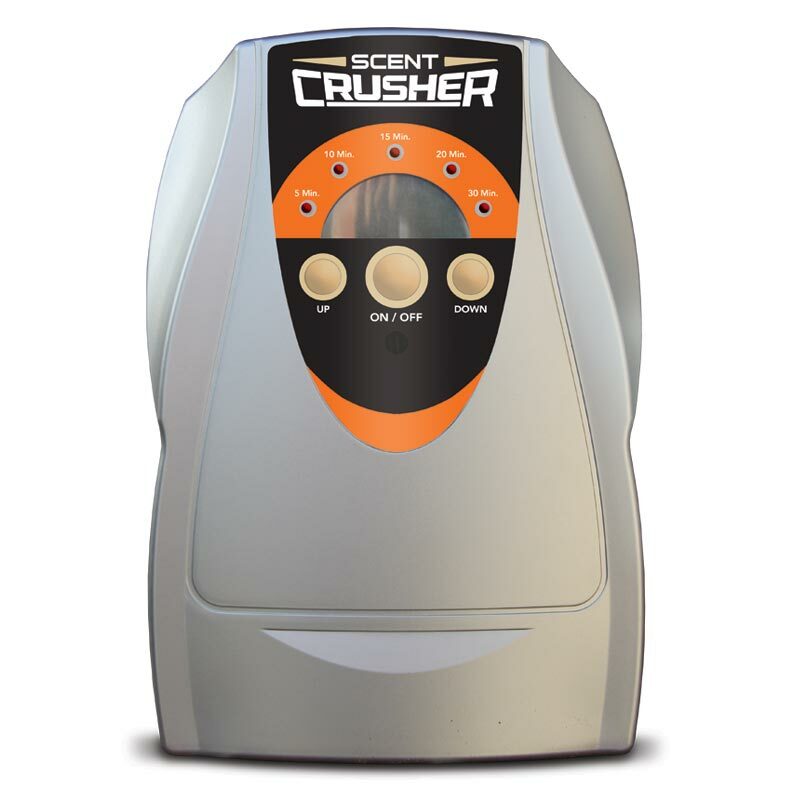 The digital generator emits a chemical free ozone that starts destroying odors within 30 minutes. 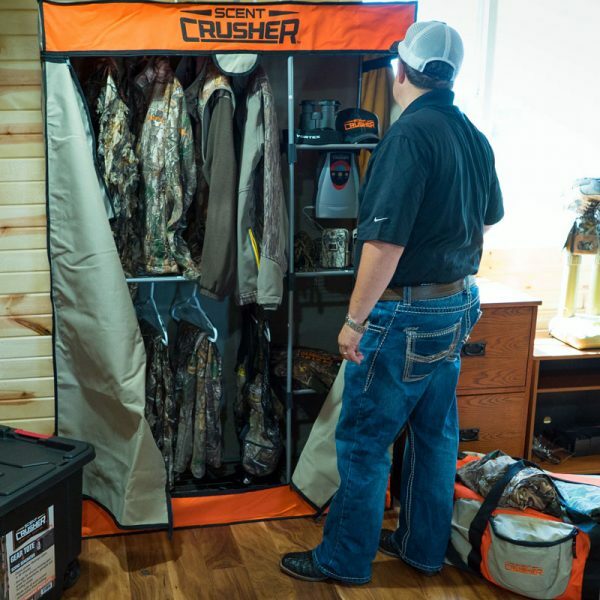 The closet is easy to assemble and tough enough to use outdoors. 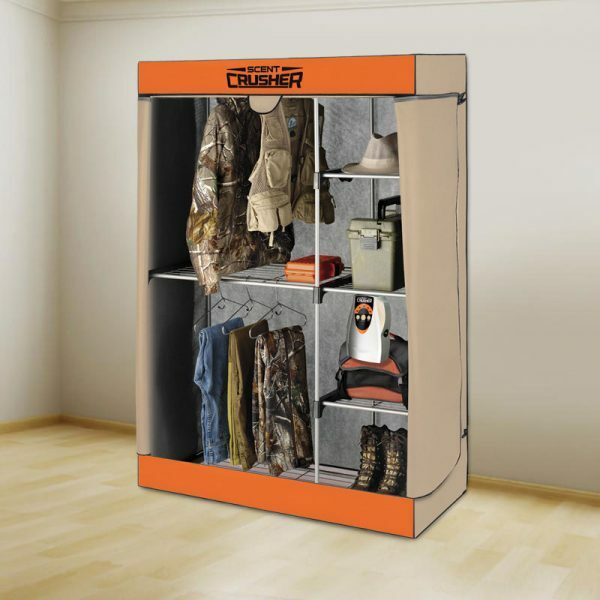 Shelves are convertible and adjustable to suit your storage needs; great for basements, garages & hunting camps.